Home / Sport / Juventus Confirms That They Will Be Without Defender "Chiellini"
Juventus Confirms That They Will Be Without Defender "Chiellini"
Massimiliano Allegri has confirmed that Italian defender Giorgio Chiellini will only miss two weeks of action after hobbling out of Juventus' Coppa Italia defeat to Atalanta. 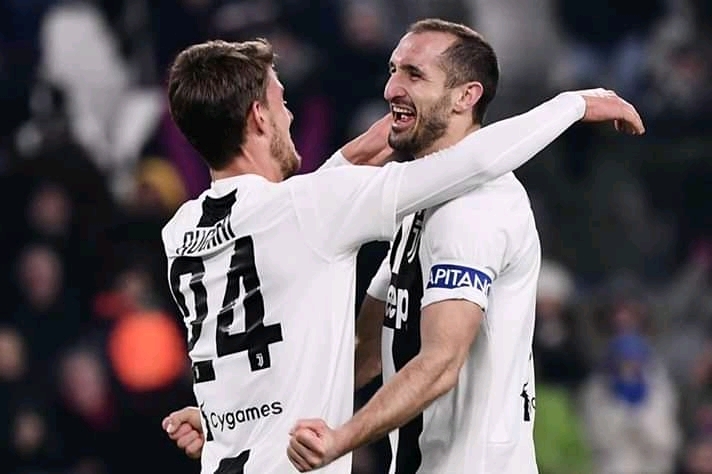 Chiellini who suffered a calf injury was substituted in the first half of Wednesday's match, although Allegri was keen to say that it was not a serious issue. The Bianconeri coach was able to tell a news conference on Friday that the captain should be back in "10 to 15 days". Allegri revealed that Martin Caceres - who returned for a third spell at the club this week - is in line to start in Chiellini's absence against Parma on Saturday, while Mario Mandzukic is back in attack as they will make changes in the squad. "The lads have trained well," "Chiellini's injury is not serious, he should be back in 10 to 15 days."